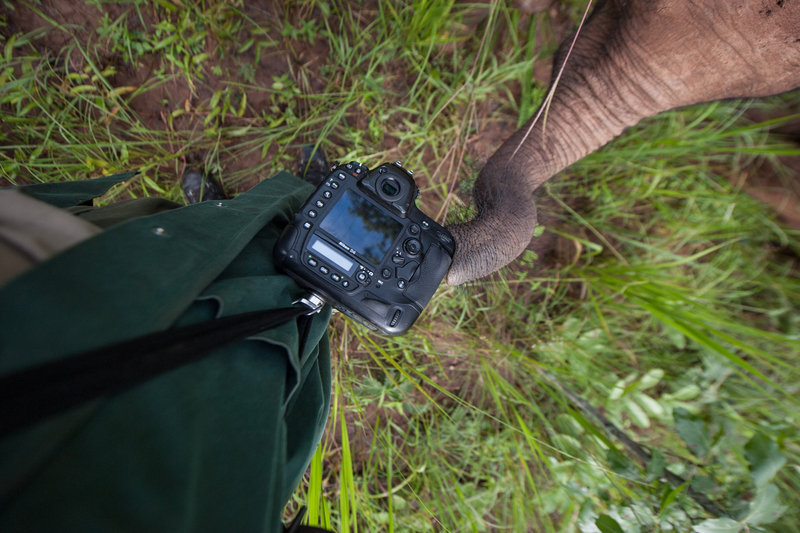 From a photographic point of view the main aim for me as part of The Bigger Picture team was to try and get to know as many of the personalities involved with Anti-Poaching and bring back images that showed those people as they are. Over a thousand rangers and scouts have been killed in the line of duty since 2013 and I won’t be surprised if some of the people I photographed die for something they believe in. Hopefully not, but reality is they do a dangerous job for very little money and with very little equipment. I find a lot of what is portrayed in the media surrounding the problem is about the animals, particularly the bigger species such as Elephant and Rhino. Whilst I don’t think this is a bad thing people need to be made aware of how complex the issue is and the underlying problems that contribute. I was never going to understand it fully by spending just a month in Zambia. I’d probably never fully understand it spending the rest of my life there but I found the situation not too dissimilar to places I’ve worked in the past. There can be no one gold standard solution. It has to be a combination of many things including education, enforcement, alternatives and support for the people who want to do the right thing. Humans have created the problems and they need to solve them. Solving them is best done in house by the very people who will see an improvement in their quality of life should they succeed. They cannot be solved by outsiders who do not understand. A helping hand to get things working goes a long way but the ability to walk away and leave self sufficient units and communities needs to be the end game. Africa is a beautiful and fascinating place and aside from capturing the people on film I also tried to capture the essence of the place using my digital cameras. The environment and smaller species all benefit from conservation of the larger animals so Anti-Poaching operations are far reaching. 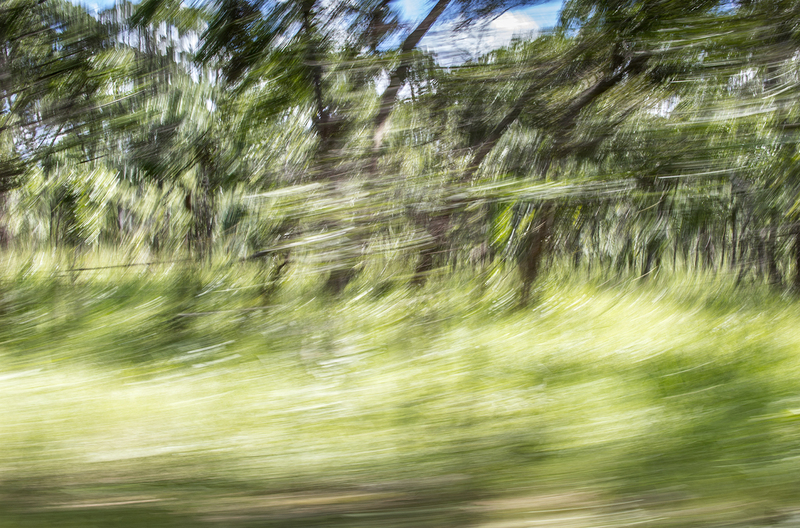 I photographed grasses, trees, the weather and numerous animals. Many of these images didn’t make exhibition. The ones that did were carefully selected to help reinforce the human effort that goes on to save what remains. Namely the infant elephants at the GRI run orphanage. The dedication of the people there is second to none and caring for infant elephants is a full time job. 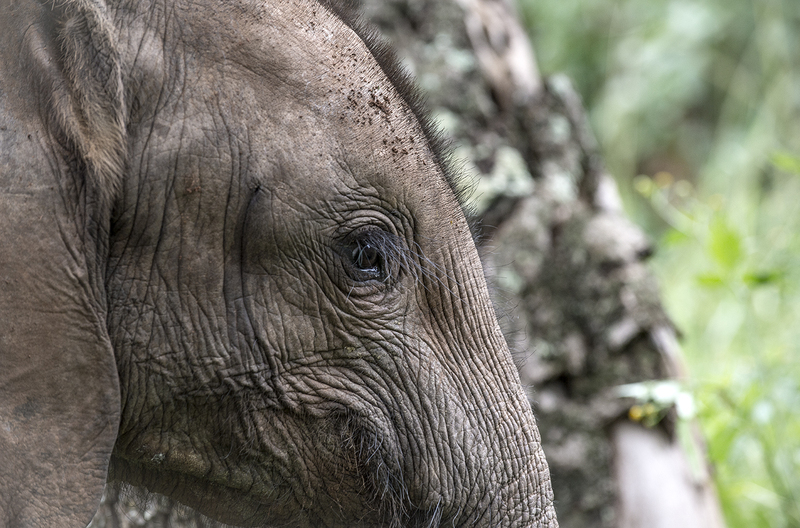 The first three images were shot at the Lilayi Elephant Orphanage and it really was a privilege to spend time with the keepers and the elephants they were caring for. The fourth image is a glimpse at the environment that some of the elephants will end up living in. Miombo is an eco system found across Africa and is important for many species not just elephants. It is being destroyed by charcoal production which in turn has an impact on the elephants. Any animal that is rescued and sent to Lilayi gets full time attention as would a human child of that age. Elephants need milk in their early years and if that doesn’t come from a female elephant then it has to come from the keepers. Many orphans have seen parents and family members killed by poachers so suffer both physically and mentally. 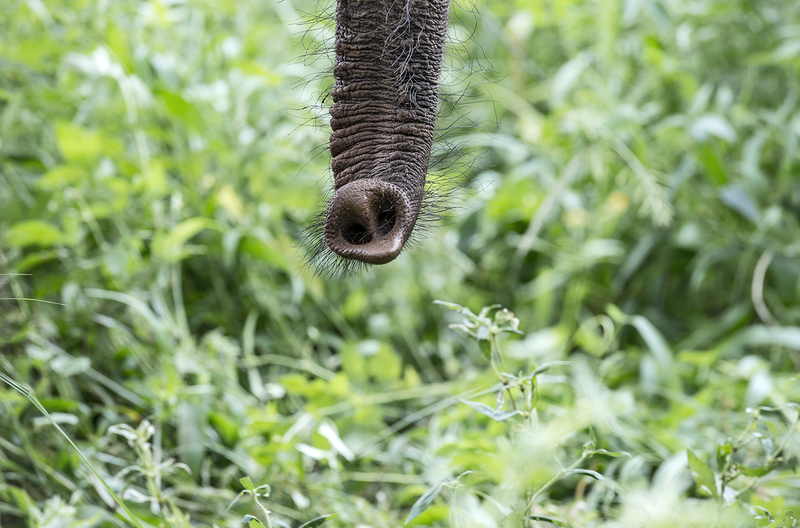 The keepers take on the role of the elephant’s parent and get to know them extremely well. Behavioural traits, attitudes as well physical attributes all get studied and logged. Any changes are noticed and dealt with up until they are roughly three years old. At that point they are moved to a release facility further into the National Park to continue the transition to being wild elephants. The elephants in these images are all aged less than two years old but have already been through the mill. They are scarred, one his missing a tail and another becomes agitated if separated from the others yet they play as would my own children when they are happy. Inquisitive and intelligent they crave attention but limiting human contact is important. They must learn to live away from man, in the bush and fending for themselves. 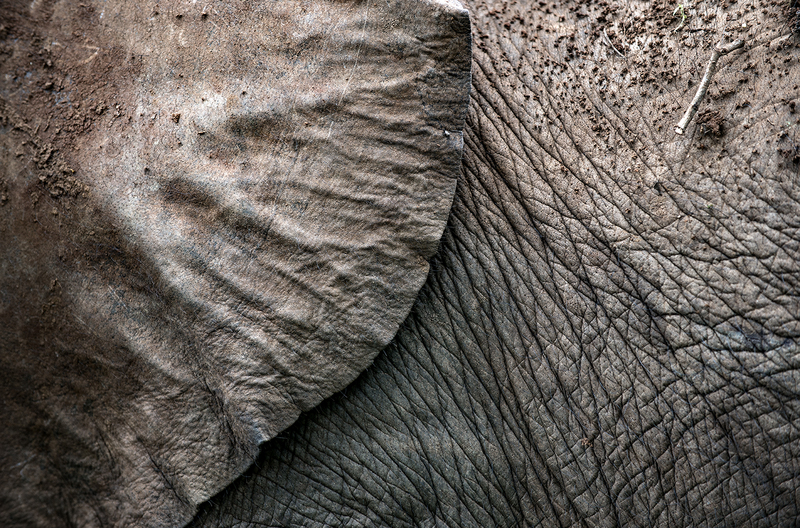 Human elephant conflict accounts for many elephant deaths without Ivory ever coming into it. A farmer who has his crops raided has little mercy. Hopefully the young elephants in these images can learn to be elephants and live long and happy lives in the wild, raising their own young. Time will tell whether man will destroy an entire species forever. There is an estimated 10 years worth of these beautiful creatures left with poaching at the present rate. There isn’t long left. Thanks for reading, I’ll post up a couple more blogs but with mostly images. A few of my favourites.